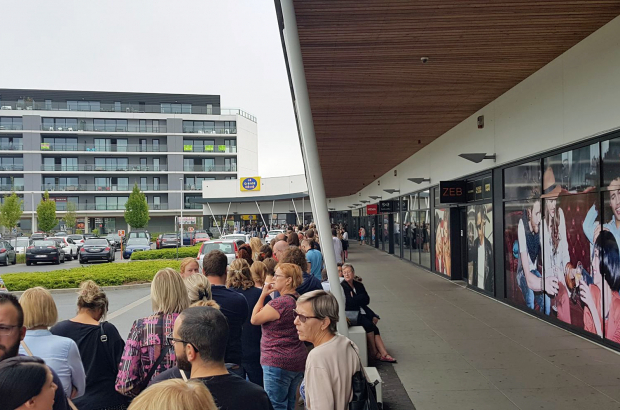 Crowds of shoppers descended on Belgian outlets of toy store La Grande Récré on Tuesday, as the bankrupt retail group is selling off its €8 million worth of stock at half-price. Many customers queued outside stores in Liège, Mouscron and downtown Brussels from the early hours of the morning after news emerged of the big liquidation sale. "We've never bought so many presents in one go," one father told an RTL TV crew at La Grande Récré's central Brussels store on Boulevard Anspach. One teacher, who had come to stock up on games ahead of the new academic year, said: "It's unfortunate for the staff, but for us it's a really good deal." The stock liquidation will help La Grande Récré pay some of its creditors, including rents, taxes and unpaid wages. On Wednesday (22 August), the store on Chaussée de Wavre in Auderghem will be selling off its stock for one day only. The outlet in Toison d'Or shopping centre will only be open on Thursday. Half-price but still making a profit. However, it is always sad to see large stores close.